Chief Minister Pinarayi Vijayan, however, told reporters that no one would be allowed to block anyone from proceeding to the shrine. 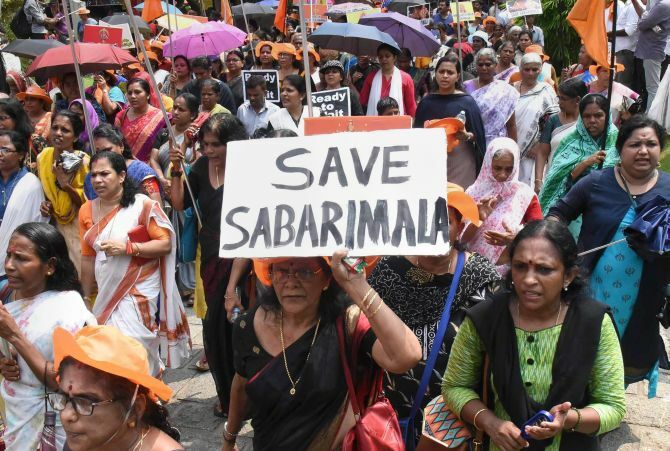 Kerala on Tuesday waited with bated breath for the opening of the gates of Sabarimala temple on Wednesday, the first time since the Supreme Court allowed women of all age groups to enter the shrine, under the shadow of ominous warnings of “mass suicides” and threats of disruption. 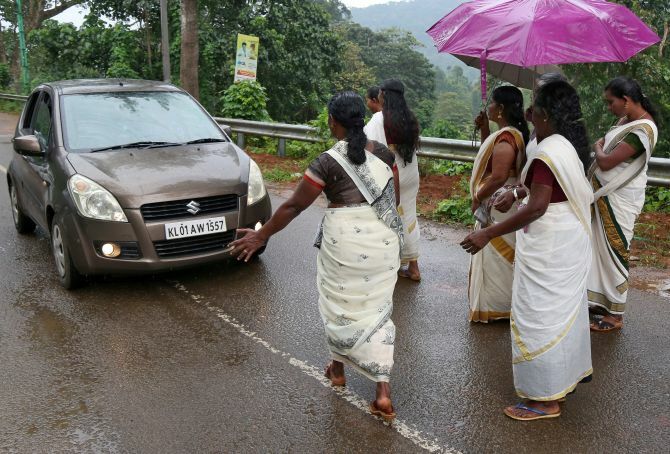 Lustily chanting “Swamiya Saranam Ayyappa” hailing the Lord, the devotees checked buses and private vehicles for girls and women of the “banned” age group and forced them to abandon their journey.